Time is running out to ensure your organization is in compliance with the GDPR. With fines for non-compliance at €20m, or up to 4% of global turnover, regulators are not playing around when it comes to the new privacy law. And just because your organization isn’t in the EU doesn’t mean it isn’t affected. 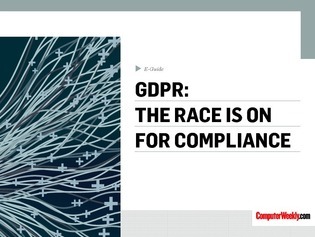 In this e-guide learn if your organization is ready to ensure its compliance to the GDPR and what you need to know to take it seriously.